As part of its involvement in the wider Justice and Peace community, our Parish Justice, Peace and Integrity of Creation Group participates in local and national events. The members of the Group also encourage other Parishioners to participate through bringing to their attention the various events and campaigns in which J&P bodies are active. The main way that these events and other activities are brought to the attention of the Parish is through the weekly Parish Bulletin and via the J&P notice board at the back of the church. Our Parish J&P Group members also keep Parishioners up to date with what is happening on the J&P front through discussions after Mass and at other times. But we thought Parishioners might find it helpful to have an additional source of J&P information via the Parish website. 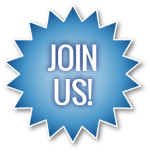 JPIC Group: The Justice Peace & Integrity of Creation Group invite you to consider joining the group. New members are required and would be very welcome. If you are interested or would like to find out more about the group please speak to either Fr. Tony or Trish Muirhead. 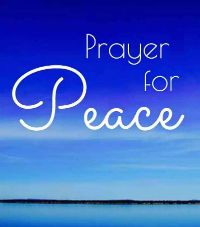 Prayer for Peace: In our war-torn, troubled world you are invited to join in an hour of Prayer for Peace on Wednesday 20th March 2019 at 7.30pm followed by a cup of tea or coffee in the hall. 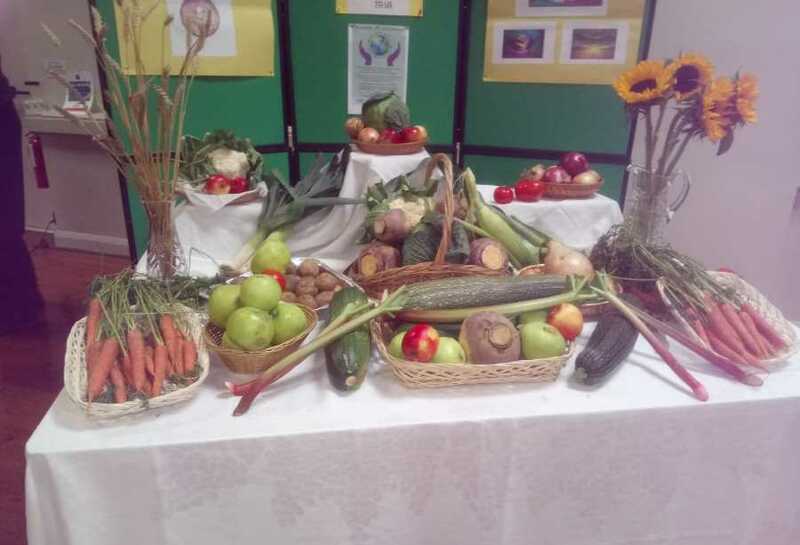 Last year’s Annual Harvest Mass was held on the weekend of 29/30 September 2018 with the theme of "Passing on our Planet – God’s Gift to Us". We celebrated in traditional St John Ogilvie's fashion with parishioners generously giving gifts of fresh and tinned food for those who may need it (see more photos on Home page). Some of the tinned food will be held in the parish for those who call for something to eat for themselves and their families, and the remainder, along with the fresh food, will go to St Catherine's Convent where they feed 200 homeless people each day. Thank you parishioners for your continued support of this project. Fresh Start Drama: A presentation/drama to P2 children of Murrayburn School on the work of Fresh Start took place in the church on Tuesday 30th October 2018. This was well received with the children enthusiastically taking part. A number of thank you cards prepared by the children were delivered to the JPIC Team. Fresh Start Appeal 17/18th November - World Day For The Poor: An appeal for starter pack donations to Fresh Start was very generously supported by the parish at the weekend of 17/18th November, on the Pope’s World Day for the Poor. Fresh Start were very grateful for the donations. Thank you. 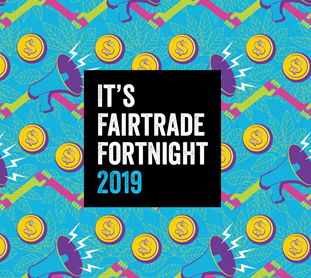 Fair Trade: In 2019 the Fair Trade theme is "Raising the Bar for Cocoa". When we choose to purchase Fair Trade cocoa or chocolate it means that the farmer who grew or produced the product benefits from the safety of the Fair Trade Minimum Price. By working together in co-operatives small scale farmers can help each other and grow better quality cocoa. This in turn allows the farmers to provide better care and education for their families. To support this effort, our Fair Trade Stall was held on the week-end of 16/17 February. Thanks to everyone who very generously supported the Stall and who agreed to post the cards to the PM in support of the campaign. Total sales amounted to £281.00 and as always we are very grateful for your ongoing support. Enjoy your ethically produced chocolate! The Just World Shop, which is where the parish gets its Fairtrade products, is celebrating 25 years of the shop being open. St John Ogilvie's sends its congratulations. Over the 25 years the shop has sold £1.3 million of goods which has helped producers work their way out of poverty and provide food, shelter, education and health care for their families. Our parish contributed £1313.20 of sales during last year. Unfortunately, there is still a great deal more to be done and with the help and support of parishes like ours, the shop will continue its work. Please therefore continue to support the Fairtrade stall in the parish. And please also choose Fairtrade products whenever you can. Prayer for Peace Hour: – to be held during Lent. Date proposed 20th March. 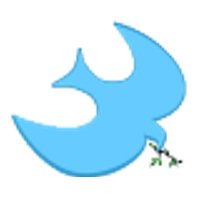 To be discussed/confirmed at next JPIC group meeting. Creation Time – Greenpeace Campaign: As you are probably aware, single use plastic is choking our oceans and killing our sea life. 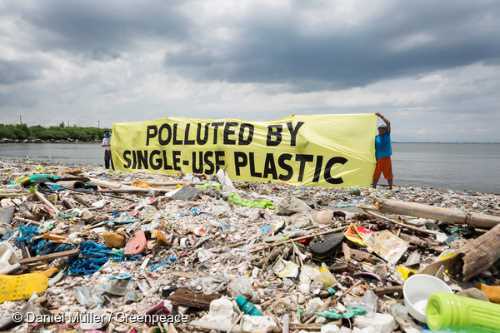 Greenpeace invite you to join their "Shoppers Revolt" campaign and let the supermarkets know that we have had enough of pointless plastic by simply returning your plastic packaging to your local supermarket's customer service desk. If enough of us take this simple action the supermarkets will realise that their customers care about the environment do not want this packaging. There are alternatives and by increasing the pressure on the supermarkets the big bosses have the power to make the change to protect our planet. And here's the proof that it works! Yes we have no bananas ..... with plastic wrapping!! 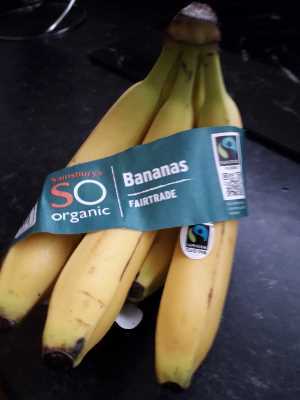 Sainsbury have ditched the plastic bag on their Fair Trade organic bananas and replaced this with a paper band. A small step forward but a start - result! But more still needs to be done!!! Parish Food Cupboard: JPIC Group have agreed to take responsibility for the management of the parish food cupboard including purchasing the stock and stock rotation.